For resolution to headaches, migraines, and other disruptive or debilitating problems, seek neuromuscular treatment in Worcester MA. Jaw pain relief is also achieved at Levenson Smile, because an aching head and an aching jaw often go together. 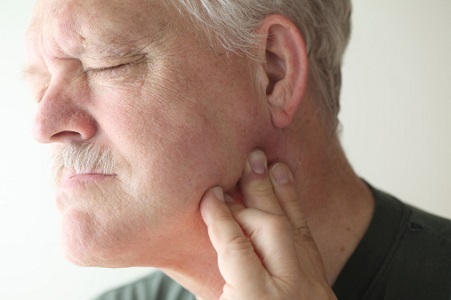 You can chew, bite, grind, yawn, and talk due to the temporomandibular joint (TMJ) that connects your jaw and skull. When the TMJ’s supportive muscles tighten, pain in the jaw arises that can radiate to other parts of the skull. The complex set of muscles that controls jaw movement and the local central and nervous system that control those muscles is known as the “neuromuscular system.” Accordingly, neuromuscular treatment addresses the imbalance between the muscles, nervous system, ligaments, joints, and teeth. Muscular overwork, spasms, and joint dysfunction are to blame for symptoms like pain in the head, face, jaw, and neck. Dr. Levenson’s understanding of the relationship between oral and general health is complemented by extensive experience with neuromuscular techniques, so patients are comfortable sharing concerns that may seem to have nothing to do with dentistry. According to the American Academy of Craniofacial Pain, muscle tension is to blame for 80 percent of all headaches. A primary source of tension is dental stress caused by problems with how your upper and lower teeth come together when you bite. Orthodontic treatments, such as Invisalign, can relieve head and jaw pain by correcting a bad bite. The muscular fatigue of teeth-grinding or clenching can be reduced with night guards, which also protect your teeth from excessive wear. Oral appliances may be customized to reposition your jaw, which helps improve sleep quality if you have Obstructive Sleep Apnea. Poor sleep patterns trigger headaches.